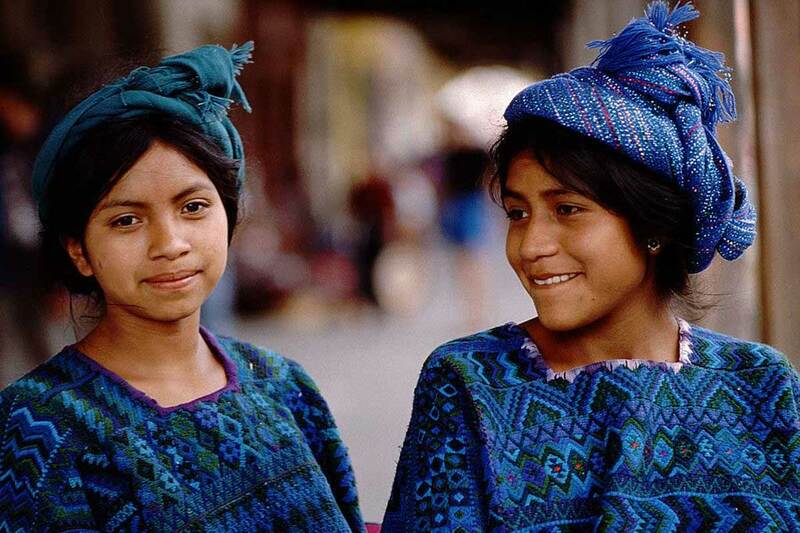 Yucatan welcomes more visitors than any other area of Mexico. 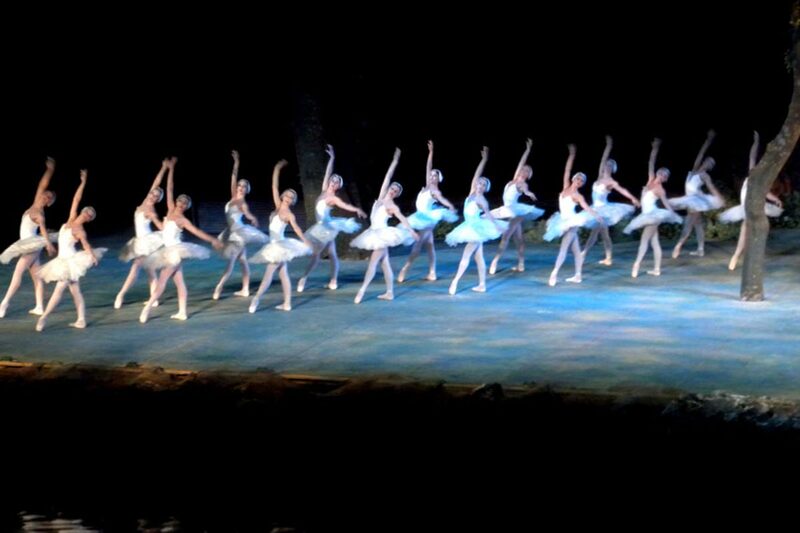 However it remains, with the exception of Chichen Itza, much less crowded and also the safest area in the country. 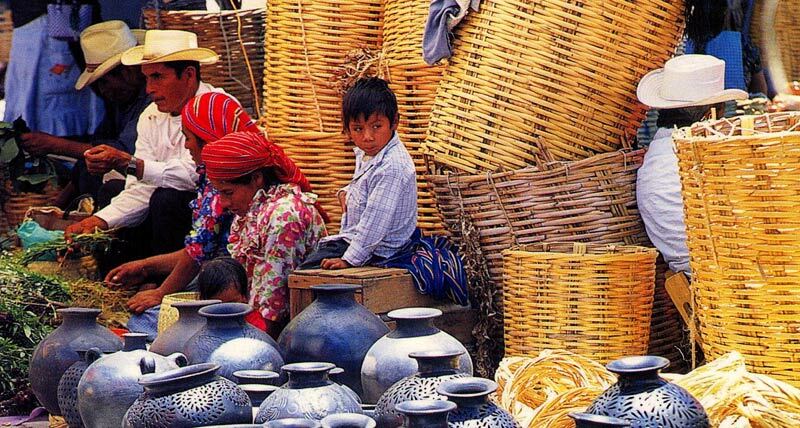 In this land of laid back tropical ambiance are a variety of experiences. 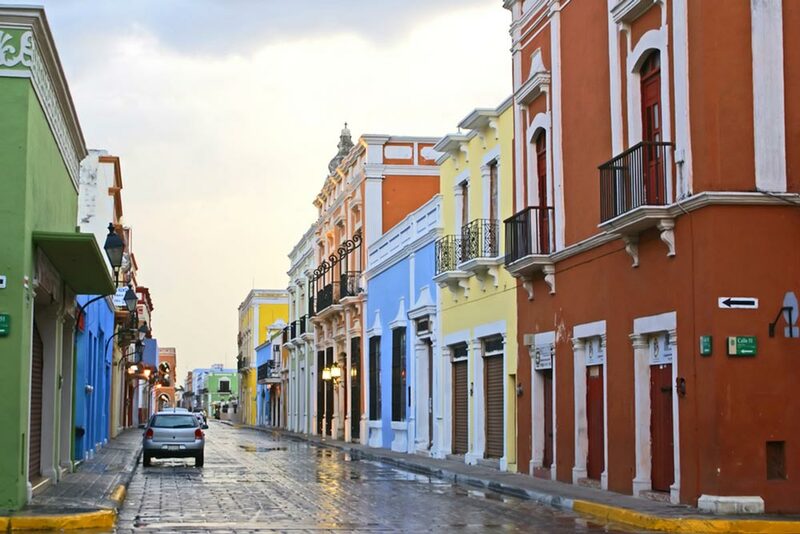 Merida —a vibrant city where music and dance always have a presence, is the largest population of people who speak Maya; and which has a history of both Mayan and Colonial treasures. Merida, once called the “White City”, was at one time the richest city in the world. 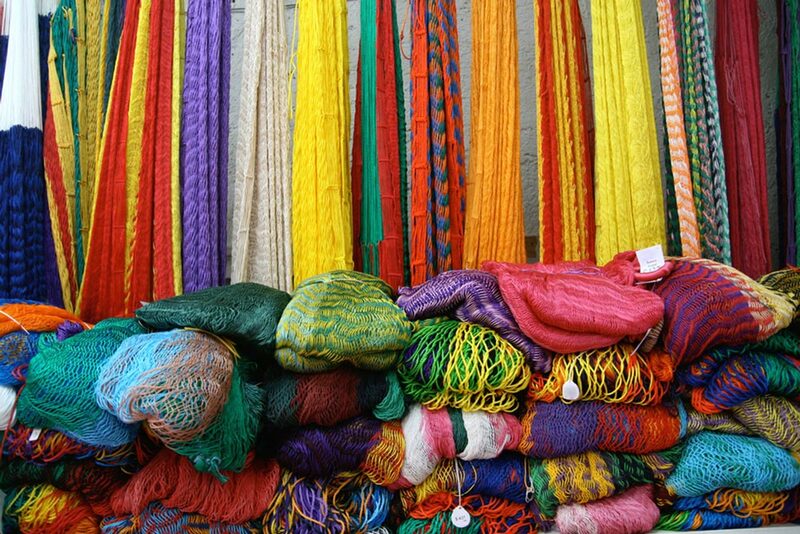 The wealth came from the henequen, an agave plant from which, at one time, 90% of the ropes and sacks in the world were made. 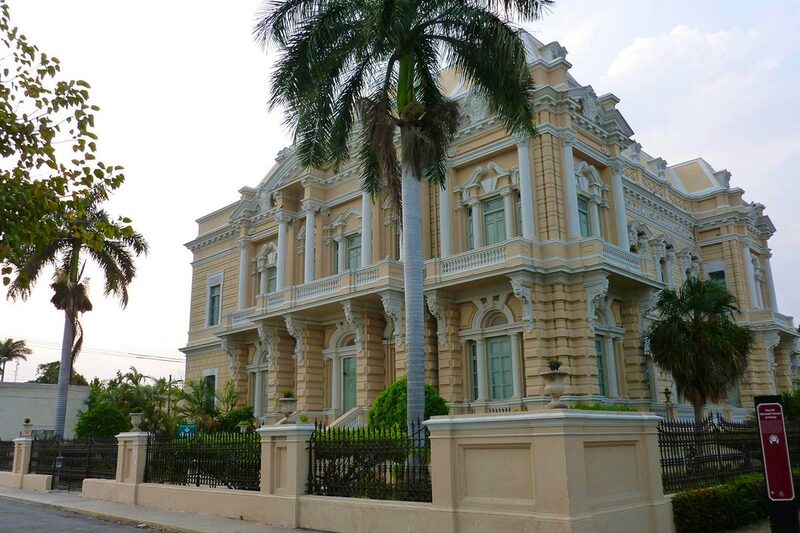 During its heyday the city was a plethora of exquisite French styled mansions that line the Paseo de Montejo—a boulevard built in the style of the Champs E’lysee. 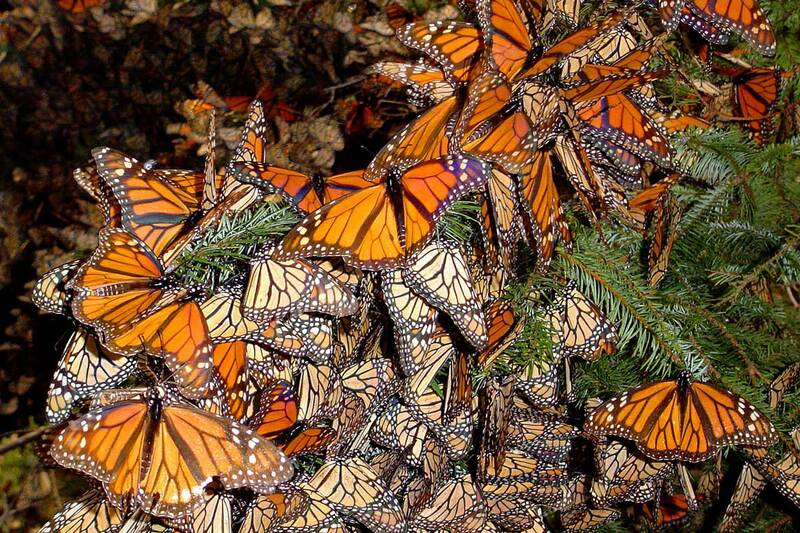 Today they remain—some lovingly restored and others in a charming state of disarray. 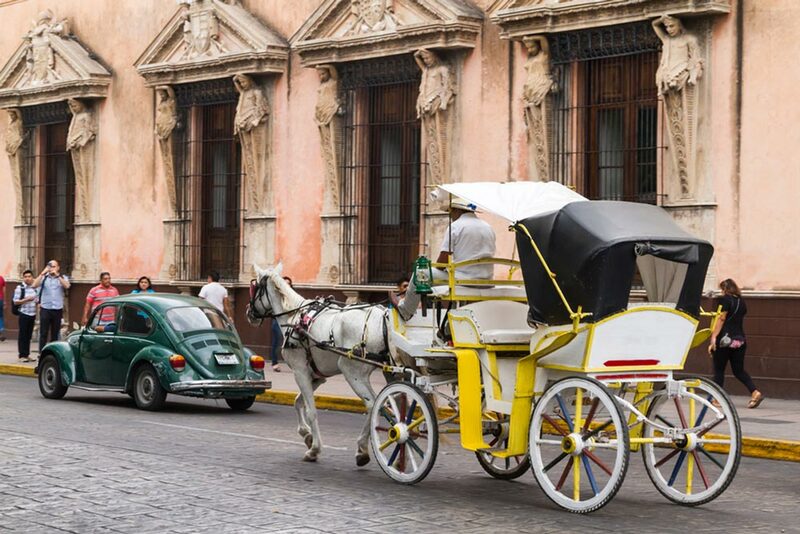 During our time here we stay in a lovely boutique hotel, visit the flamingos habitat by boat, enjoy a henequen plantation, a trolley tour of the city and a walking tour of some of the magnificent mansions. 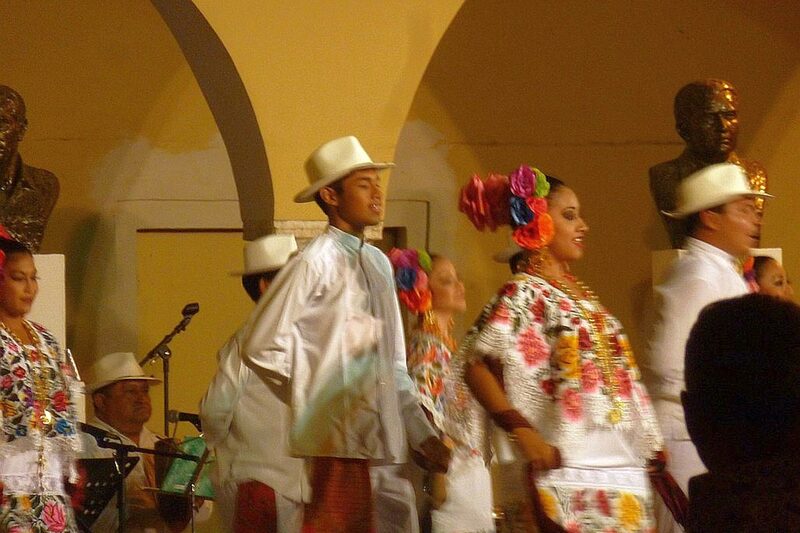 We also enjoy great meals and have a chance to experience some of the Yucatan sumptuous cuisine as well as being treated to a delightful and professional evening of dance and song. Traveling on through the smaller villages we see the rock walls, the cornfields, the traditional Maya homes, the crumbling haciendas and the ruins of ancient cities. 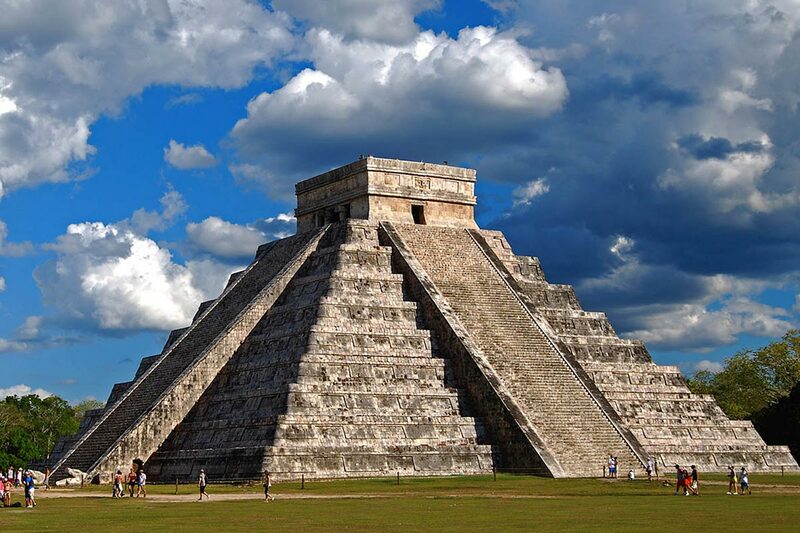 Our first stop is to visit Chichen Itza — the Grande Dame of pyramids—where we wonder at the architects who were able to build so precisely that shadow and sunlight forms a serpent’s body at each equinox. We stay among lovely gardens 100 ft from the site. 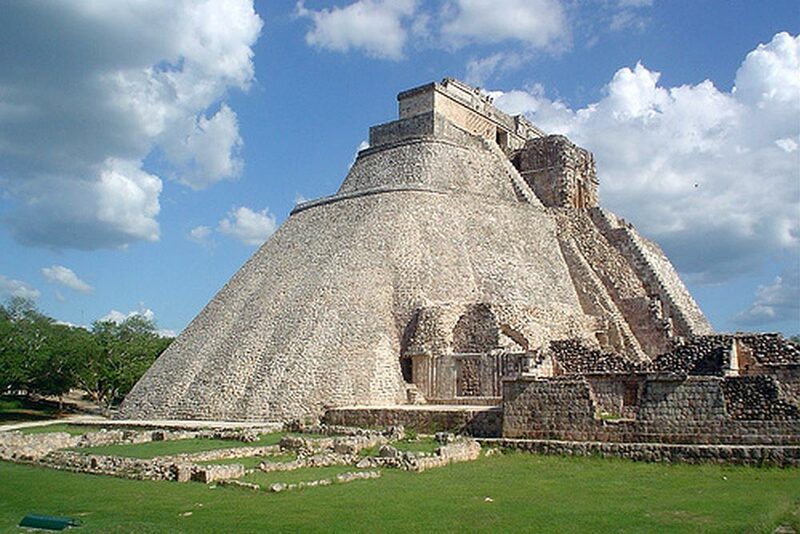 Our next site is in Uxmal where we marvel at the splendor of the intricate stone carvings and artistic detail. 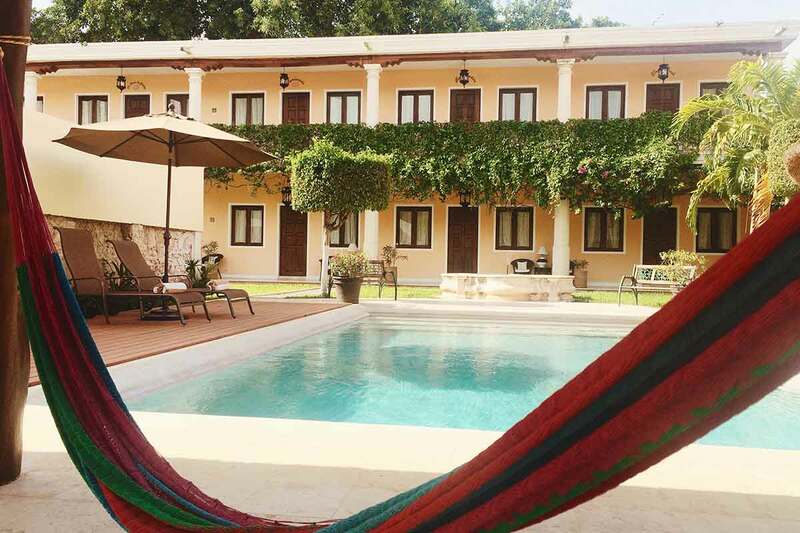 Uxmal’s location, amidst rolling green hills and trees, makes it a special treat. The light show here at night is amazing. 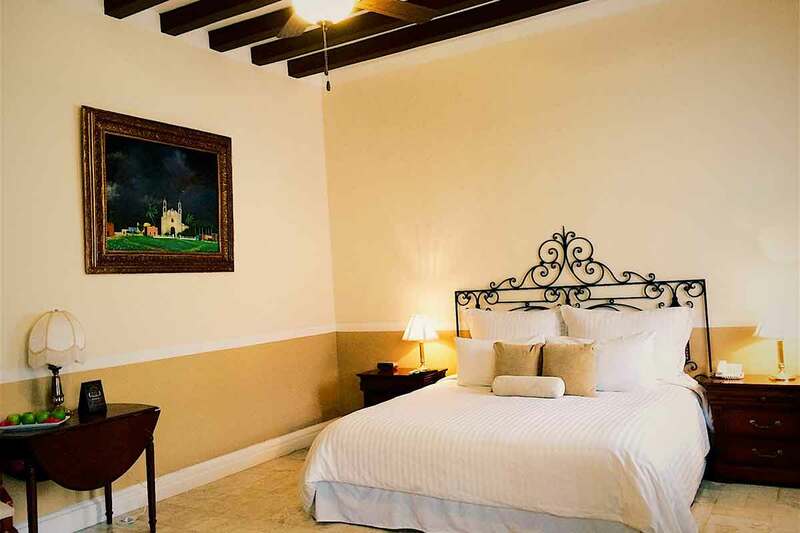 And our stay is comfortable in a lovely and peaceful hacienda. 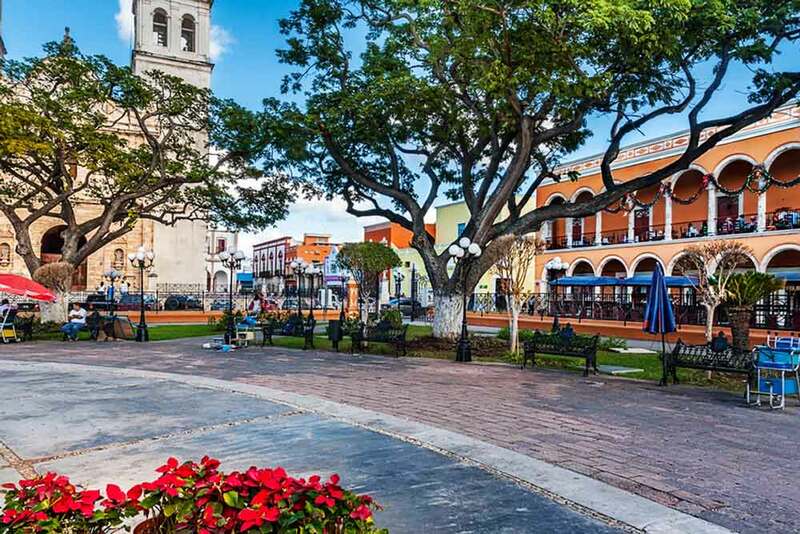 We spend an extra day in this beautiful and historic site to enjoy among other things, a visit to a chocolate museum, time to take a swim in the pool, shopping in the nearby area and a special dinner before we return to Merida. This trip starts and ends in Mexico City. Group fares are available with prior notice. 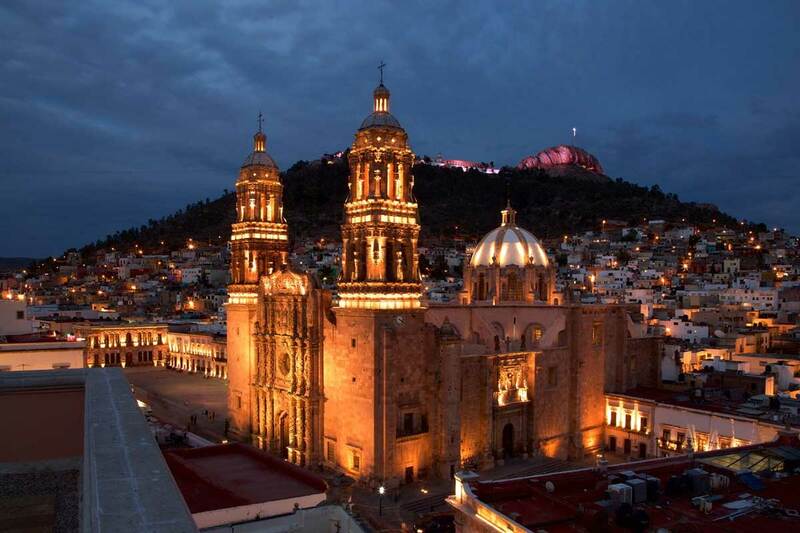 Guests may make their way to and from Mexico City on their own time. Pick up at the airport will be for the group flight—information will be sent upon request.